One pulse & three different ways to cook the almighty lentil. 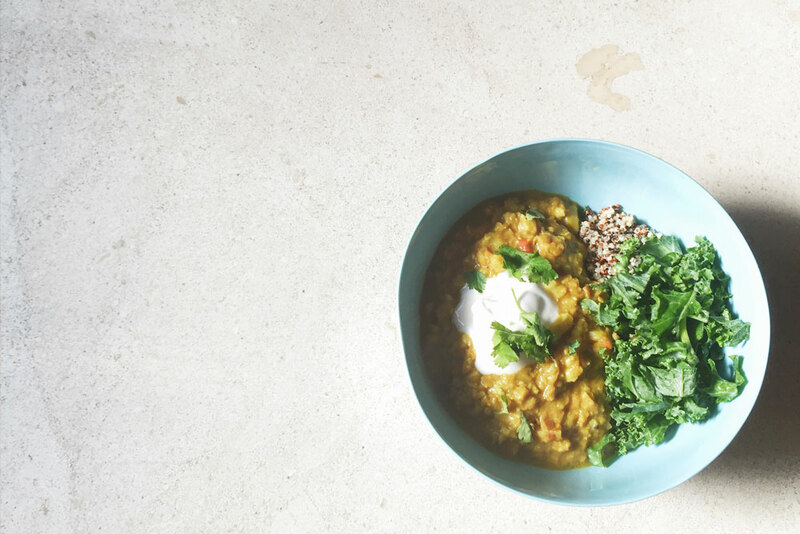 We’re HUGE lentil fans at Collective Sol. Especially during winter. We’re thinking soups, stews, dahls, pastas. Basically anything a lentil can go in, we’re a fan. In tribute to the lentil, we’ve picked our top 3 winter recipes that we know you’re going to love. Rinse the lentils and place them in a stock pot with 3 cups of the vegetable stock (reserving the remaining 1 cup for later) and the bay leaves. Bring to a boil, reduce heat to medium low, cover and cook until the lentils are tender and have absorbed much of the liquid, about 20-25 minutes. Remove from the heat and discard the bay leaves. Heat the olive oil in a large pot over medium high heat. Add the onion and leek, cook, stirring occasionally until lightly browned and fragrant. Add the mushrooms and a hefty pinch of salt, continue to cook undisturbed, until the mushrooms soften up and turn a deep golden brown on the bottom, about 3 minutes. Give the pot a good stir and continue to cook the mushrooms until all sides are deeply browned. Add the garlic and cook for about 1 minute longer. Stir in the wine and deglaze the pan by scraping up all the flavorful brown bits on the bottom of the pan. Cook until most of the wine has evaporated. 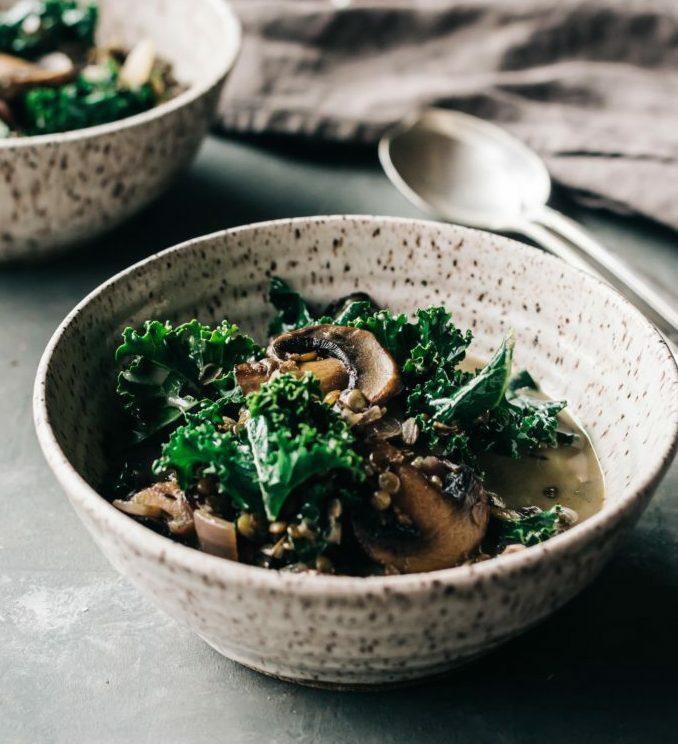 Reduce the heat to medium low and add the cream, remaining 1 cup of vegetable stock, cooked lentils and kale. Cook until the kale wilts a bit and the stew has thickened and warmed through. Season to taste with plenty of salt and pepper and serve warm. Remove any stones or debris from lentils, and wash until water runs clear. Soak for 2-5 hours in water, then drain. Heat a frying pan to melt oil or ghee. Add onion, garlic and ginger and stir until soft. Add dry spices and heat until mixed and aromatic (around a minute). Stir in lentils, then transfer to a slow cooker with water, coriander root and vegetables. Cook for 4-6 hours on low. If thickening with coconut yoghurt, add 1/2 an hour prior to serving. To serve, place rice or quinoa and greens in bowl, then top with dahl, coconut yoghurt and coriander leaves. Alternative cooking method: Follow the same steps but place in a heavy bottomed saucepan and cook for 1-2 hours. Longer is better. Peel and cut the sweet potatoes into 2cm chunks, then peel and cut the onions into 2cm-thick wedges. Place in a roasting tray in an even layer and sprinkle over the cumin seeds, ground coriander and a pinch of sea salt and black pepper. Drizzle with oil, then toss to coat. Pop in the oven for 40 to 45 minutes, or until cooked and golden. Peel and finely slice the garlic, then finely slice the chilli. Pick the coriander leaves and set aside, then finely slice the stalks. Place a large saucepan over a medium-low heat and pour in a lug of oil. Sauté the garlic, chilli and coriander stalks for a minute, until lightly golden. Add the red lentils to the pan. Stir to coat, then pour in the hot stock and coconut milk. Turn up the heat, gently bring it to the boil, then let it come to a simmer. Cook the lentils for 20 minutes, or until they are completely broken down. When the veggies are ready, remove from the oven and carefully spoon into the pan. Add most of the coriander leaves, then blitz the soup with a stick blender until it’s creamy but still has a little texture. Squeeze in some lemon juice to taste and adjust the seasoning if need be. 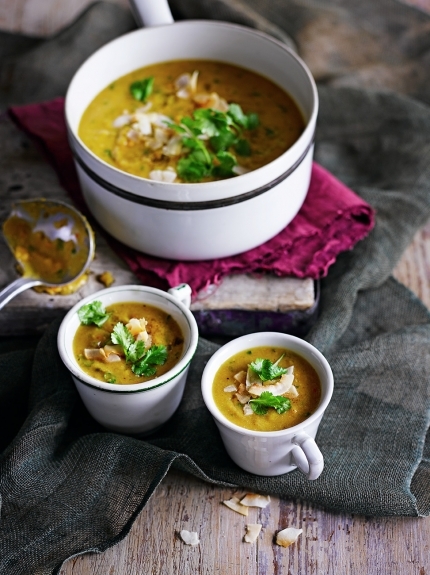 Serve the hot soup topped with the remaining coriander leaves and toasted coconut shavings, if you like.